It’s been an exciting year at MEDrefer as we’ve welcomed many new members and helped make the referral process easier for many GPs and Specialists and Allied Health Professionals. 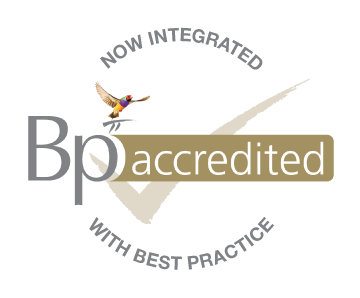 We’ve had the privilege of working with GP Connections, Best Practice, Genie and several other great Australian medical companies. We integrated with Best Practice, a market leading clinical application, so doctors can easily send a MEDrefer referral via their referral letter tool. We introduced Practice Manager accounts, giving Practice Managers the ability to accept referrals and update details for multiple practitioners. We introduced the MEDrefer Manager which integrates with Specialist clinical software Genie and allows Specialists and Allied Health to easily update their availability automatically from Genie and handle referrals from their desktop. We’d like to say a big thank you to all the many people who’ve supported us throughout the year. We’re hoping that 2015 brings even greater things and we’ll let you in on some of our upcoming developments early next year. 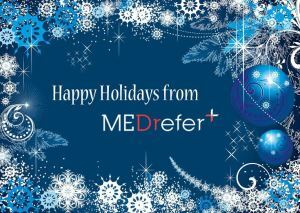 We’ll still be available over the holidays, so if you have any concerns or questions, don’t hesitate to contact us at support@medrefer.com.au or 1800 556 022. To all our members, partners and associates, we wish you a Merry Christmas and a Happy New Year!